CHIKI Icon Pack contains 300+ update to 2000+ beautiful flat and fresh color for customize your phone device! CHIKI Icon Pack - Can be applied on any phone by installing a support launcher. Why choose CHIKI Icon Pack? - CHIKI Icon pack is updated regularly. Direct Apply: Nova, AC, ACTION, ADW, APEX, ATOM, AVIATE, CM Theme, GO, HOLO, iTOP, KK, LG, LUCID, M Launcher, and etc. 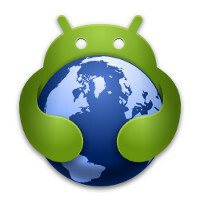 Please note: This is a set of icons and for it to work it requires a special launcher for Android. For example, apex, nova, next, etc. It will not work with Google Now Launcher, Pixel Launcher or most launchers supplied by your phone OEM. Before you leave feedback that it does not work, please install one of the compatible launcher and try to apply them.